Revamping Prohibition-era laws has given rise to a sharp increase in the number of craft distillers. You’ve heard of the farm-to-table movement? Get ready for farm-to-flask. 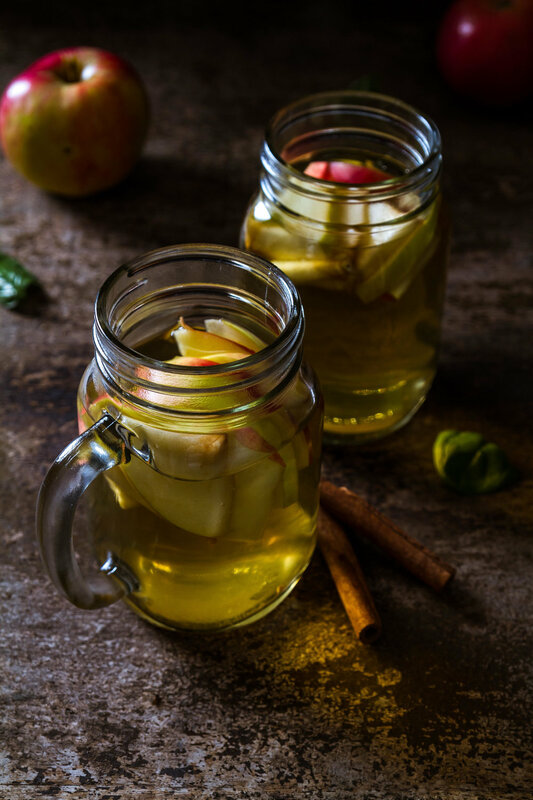 In Columbia, Tennessee they’re infusing clear corn whisky with peaches, on San Juan Island, blackberries are being turned into brandy, and in New York’s Hudson Valley, more and more farmers are using apple orchards to produce hard cider and other apple-based spirits, like vodka. Thanks to the loosening of Prohibition-era laws in certain states, the number of craft distillers has grown from 21 in 2000 to 1,315 as of last summer, according to The Craft Spirits Data Project research initiative. New York has been a leader in the farm-to-flask movement with dozens of distilleries garnering awards for everything from hard cider to bourbon whiskey and pear brandy. The new industry is attracting visitors to small towns and farms, to pick their own fruit, sample cocktails in rustic tasting rooms, and take owner-guided tours of the facilities. The result is a much appreciated revenue stream for farmers. “A crop can be lost in minutes due to a hail storm or a freeze,” Elizabeth Ryan, a Hudson Valley fruit grower and cider maker told The New York Times. "But those disfigured apples can still be made into cider.” The additional income is also helping her hang onto her 300-year-old farm. "Esopus Spitzenberg has a few things going for it," says Tim Dressel, owner of Dressel Farms in New Paltz, New York. "First, it's named after the town of Esopus, NY, which is only about 10 miles from my farm. The apple was from a chance seedling, meaning it wasn’t bred. It's rumored to have been Thomas Jefferson's favorite eating apple. Plus it's a gorgeous apple with a slightly elongated shape and beautiful ruby color." The boom offers other advantages as well, namely reviving interest in fruit on the verge of extinction. The fourth generation owners of Dressel Farms and Kettleborough Cider House in New Paltz, New York are growing nearly two dozen varieties with colorful names like Esopus Spitzenburg and Brown Snout, many of them virtually extinct since the days of Prohibition. "Golden Russett was a very popular apple until it was replaced by its own offspring - the Golden Delicious," says Tim Dressel. "Golden Russett is a fairly sweet, slightly bitter apple. It makes for good eating but its skin is very brown and rough, almost like sandpaper." Restaurants are adding beverages made of locally-made items but a number of distillers and farmers opening their own restaurants. Not too far from Tim Dressel's restaurant in New York is Tuthilltown Spirits, famous for award-winning spirits like Hudson Baby Bourbon, which is getting even more attention for it’s on-site restaurant, Tuthill House at the Mill. And the Dancing Cat Saloon, which sells its own whiskey. When New York mixologist Nata Traub won Slow Food’s cocktail competition last fall with her locally-sourced drink, Hot Off the Press, she gave a shout out to Hudson Valley. "Rethinking traditional local products for use in cocktails is something our forefathers and mothers could never have imagined," she says. "Not only does it reinvent the palate but it adds the most important ingredient - support for the community." Takeaway: This is an easy one: Seek out craft-made spirits from local farms. Doing so may open opportunities for other farmers and could even lead to preserving fruit that would otherwise become extinct. Cheers! Check out Nata Traub's cocktail recipe! After losing his first election, in 1758 George Washington reportedly plied voters with 144 gallons of cider, and won. America has a long and complicated relationship with alcohol. Early settlers viewed alcoholic beverages as a regular staple, often a safer alternative to drinking water. Cider became popular when wild yeast interfered with the fermentation of hops and made brewing beer difficult. Fermenting cider turned out to be simpler, plus apple seeds brought by settlers from across the Atlantic thrived. By the turn of the eighteenth century, New England was producing more than 300,000 gallons of cider a year. The temperance movement changed everything. In 1919, the Volstead Act banned the sale of all alcoholic beverages. Among the casualties of the era? Apple orchards. Many were burned to the ground by prohibitionists. Even those spared became useless after farmers turned to sweeter, dessert apples to survive. The Volstead act was repealed in 1933. Even so, many state laws continued to discourage anyone looking to get into the business by imposing astronomical license fees and stiff regulations. The reawakening of interest in where our food comes opened up possibilities for small farmers and helped growers push successfully to distill their own fruit.